Mickey Mouse and Minnie Mouse -"True Love" -Silver Plated Souvenir Coin in Case. 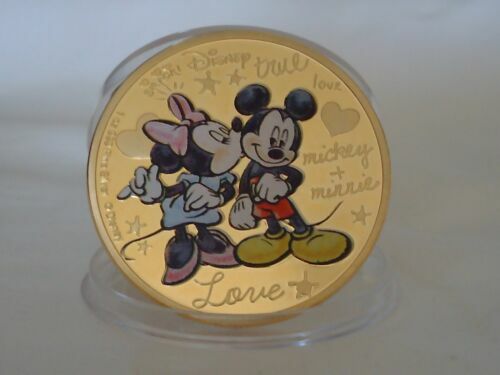 Mickey Mouse and Minnie Mouse "True Love" 24k Gold Plated Souvenir Coin in Case. TWO 1963 WALT DISNEY COMICS MICKEY MOUSE M74 DUCK ALBUM G280 WG AUSTRALIA GC!!! 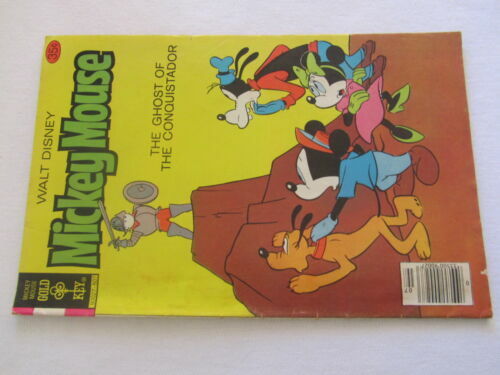 DISNEY VINTAGE 1966 COMIC BOOK - Mickey Mouse - The Sweet Patootie Mine. 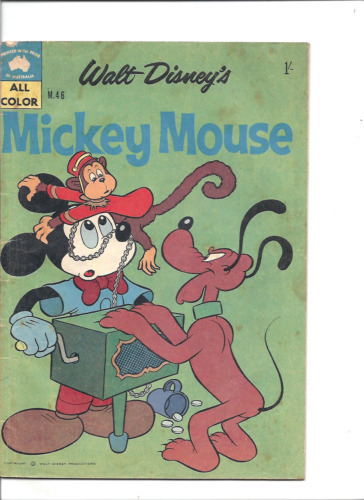 1980 EDITION OF MICKY MOUSE "MISSION TO PLANET ZOA"
Mickey Mouse M. 7, Australian Disney, 1957, VG. 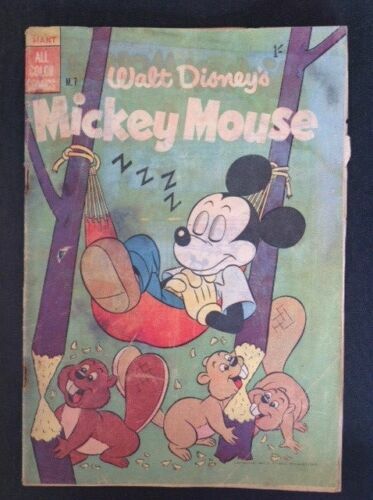 Mickey Mouse M. 5, Australian Disney, 1956, VG-. WALT DISNEY MICKEY MOUSE #191 GOLD KEY 1979 "The Floating Fortune"